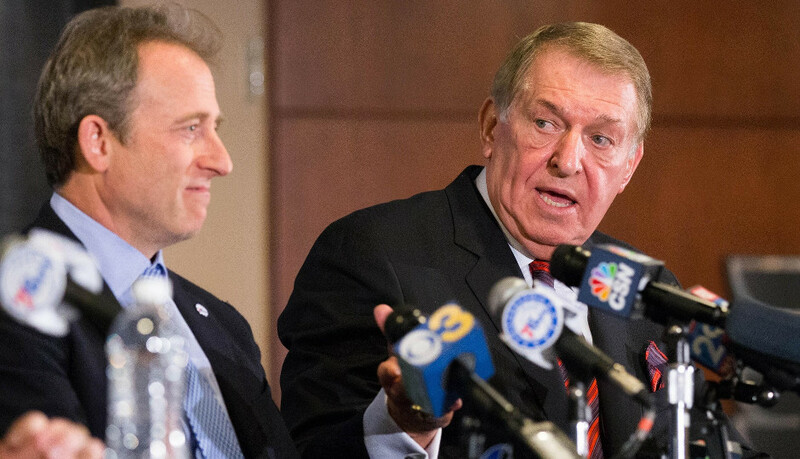 In a surprising front office shake-up, the Philadelphia 76ers have named Jerry Colangelo as Chairman of Basketball Operations and a Special Advisor to the Managing General Partner. By Derek Bodner·	 12/7/2015, 9:00 p.m. The Philadelphia 76ers have named Jerry Colangelo as the Chairman of Basketball Operations and a Special Advisor to the Managing General Partner. 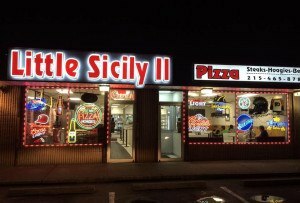 Colangelo, a member of the Naismith Hall of Fame, has spent parts of five decades in the NBA, where he started as a scout with the Chicago Bulls before becoming the first general manager of the expansion Phoenix Suns in 1968. Colangelo led the Suns until the late 1990’s, when he gave control of the team to his son, Bryan Colangelo, although he remained with the organization until 2012. Colangelo was voted Executive of the Year four times in Phoenix: 1977, 1982, 1990 and 1994. Colangelo’s resume also includes being the managing director for the United States Men’s National basketball team, with the team going 75-1 since his arrival, including a current 63 game winning streak. “When we have the chance to bring a world class and respected executive to the Sixers, at any level, we will do so,” Sixers co-managing owner Joshua Harris said at a press conference earlier today. According to Harris, president and general manager Sam Hinkie will retain control of final say over player personnel decisions. For his part, general manager Sam Hinkie seemed to welcome the additional voice in the decision making process. While the Sixers were saying all the right things about not being able to miss the chance to add somebody with the experience and expertise that Colangelo brings with him, it’s hard not to look at it as a reaction to recent developments. Between the 1-20 start and Jahlil Okafor‘s series of off the court mishaps, it’s been a trying time for everybody involved. That trying time seemed to be the spark to ignite this change. Part of that next phase will be taking a more active role in free agency, something which Harris noted will be made easier because of Colangelo’s contacts around the league. “He knows every player, every coach”, Harris explained. “I think we’re going to explore the free agency side of things a little bit more seriously. We’ll look at veterans a little bit more seriously,” Sixers head coach Brett Brown said, although he was quick to note that he doesn’t see the plan changing dramatically. “All of those things are going to be addressed, but not to the point where we act recklessly and try to skip steps. “We feel confident that the path we’re on is strong and intelligent. It’s just that we’ve taken a hit in the past month or so that puts us under the microscope, but it doesn’t bump us entirely off of our path,” Brown continued. “It has been hard, but we will get through this, and what won’t kill us will make us stronger,” Brown concluded. Exactly what the next steps are remains to be seen. How will the power structure shape out? How much can they do in free agency, even with Jerry Colangelo’s contacts and recruiting ability? Will the team make any immediate changes to the roster, or a move of real significance at February’s upcoming trade deadline? Regardless of the exact details of how the dynamic in the Sixers front office shapes out over the next few months, it seems as if Harris and his group are making a strong, decisive, and clear deviation from the slow, methodical pace that has come to define this current regime.